The Salzkammergut is a spectacular region of alpine lakes, picturesque valleys, rolling hills and rugged, steep mountain ranges, ideal for a walking holiday. Much of the region is remote wilderness, and even in the heavily visited parts, such as the Wolfgangsee and Mondsee, you’ll always find isolated areas where peaceful, glassy waters provide limitless opportunities for peaceful reflection. Hiking trails criss-cross the range offering many options for walking in the mountains. Whether you’re looking to commune with nature, enjoy fine food and a rich culture, the area is big on variety. The peaceful lakes offer many opportunities for boating, fishing, swimming, or just sitting on the shore and chucking stones into the water. 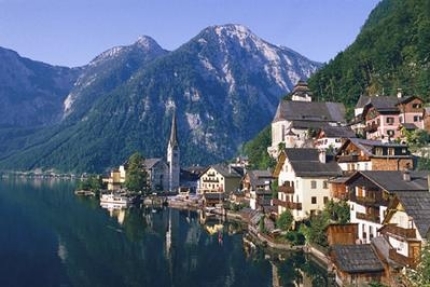 Favorite waterside beauty spots include the picturesque villages of Hallstatt and St Wolfgang. Come a take a walk with us, you won’t be disappointed. The hiking tour in the Salzkammergut (UNESCO World Heritage Site) is considered by many hikers to be one of the best regions in Europe for a leisurely but exquisite walking holiday.